I hope your holiday season is going well. I know it has been a while… One of my New Year’s Resolutions is to get back on track with my blog. Recently my cousin Andy posted several pictures on Facebook that I had never seen before. I thought I would talk about a few of them since I hadn’t written in a while. I have actually been working on a post of my 3rd Great-Grandfather William Sublett. Midway through my post, I realized that I had merged two different William Sublett’s into one person. This happens from time to time. I will have to untangle that web, so I will get back to that after Christmas. For now, let’s focus on some pictures. They are much easier and so much more fun. 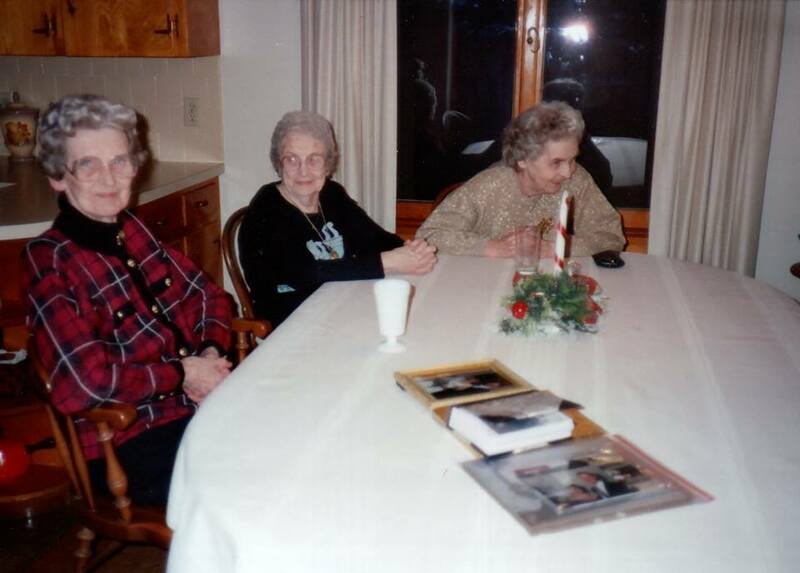 The first picture is of my grandfather’s sisters. He was the only boy and 4 sisters. From left to right, Mae, Claudia and Pete. According to my Aunt Carol, they all called him Brother. 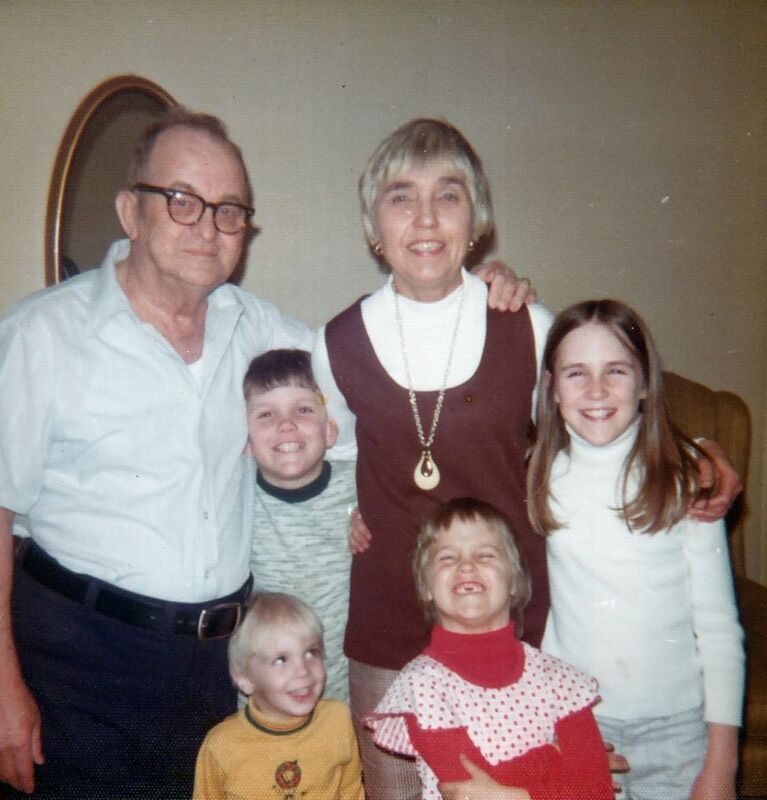 I love this picture of my siblings and my grandparents. We all have our cheesy grins. I am smiling ear to ear with my two front teeth missing and my younger brother Joe is looking at me. Look at his hair, he was such a toe-head. From the looks of the picture, it was probably 1973 or so. 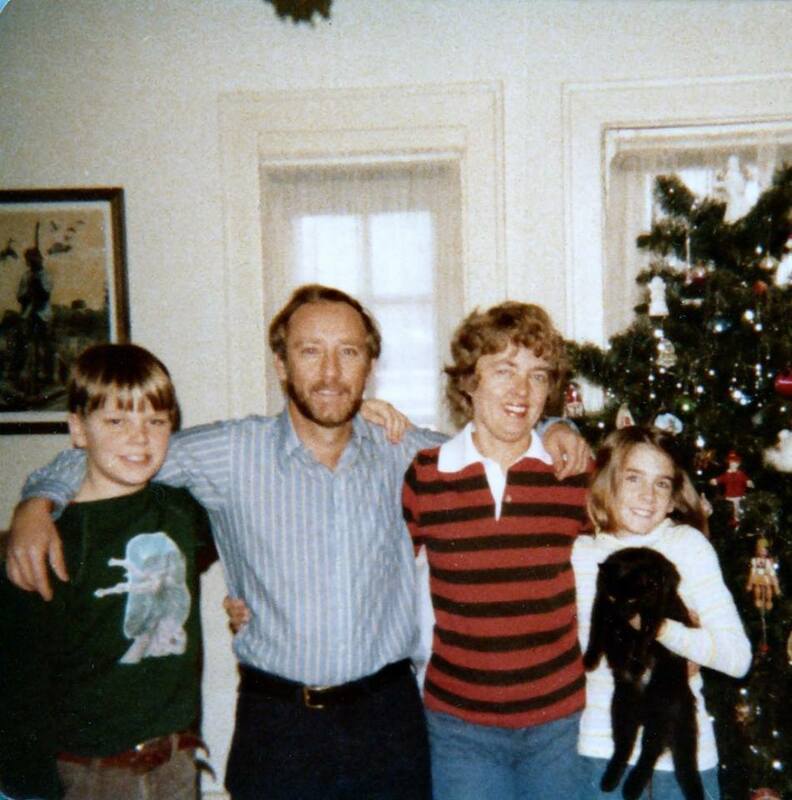 This next picture is of my mom’s sister Carol, her husband Jack and my cousins Andy and Leigh Ann. The odd thing, is when I remember my two cousins, this is the image that come to mind. Not the exact image, but their likeness in this picture. This age if you will. I believe as we got older, the trips to see each other came less often. I am so glad that I have been able to reconnect with them both over the last couple years. This is still one of my favorite pictures of my grandparents. Look at Lacy squeezing his wife. He loved her so much. 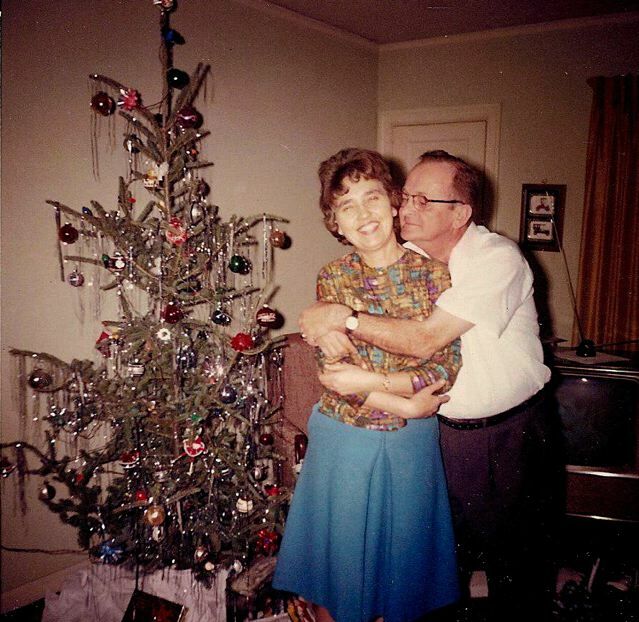 That tree is fantastic, look at the ornaments and the tinsel hanging. This could have been their first Christmas as empty-nesters. My parents had married earlier that spring. Remember, keep taking pictures but take the time to print them so they will not be lost on old technology. If you have some old photos, please feel free to send them to me. I scan them all so we will have them in both technologies! May the blessings of the Christmas Season be yours!